DaisukiFox: coming to you from Patreon! Kiyomue Mitsu stands for bright drawing or light painting if that makes sense. Maybe this is what this will always be? XD In all seriousness, though. It's our dream to get do what we love for the people that love, what we do. I think I want to show what I and my friends can do and what benefits we can contribute to the art world. Also because it's what we love doing. Even if we'll struggle, we want to do what we're passionate about. Currently we're pushing production on our original works such as the written ones and a future comic series in the future. Patreons get it first! How can you guarantee I'll enjoy the content? Thankfully anything that I bring out in comic form has a written form so those who think it's worth supporting can judge for themselves if they need further convincing. I can't promise anything, only that I bring what I bring and that hopefully, it brings some joy in our supporters day. I'm also sorry if you're not into reading your content like that, that is the only other way I can convince you at this time. What if I don't want to pay but still show my support? That would be great! Unfortunately, that comes with the standard benefits and will be the second to last to receive previews and will probably have to wait. (+) members or higher(for the future) receive their pages/chapters/fanart 7 days before public release. Share this page if you want! How would I get my discount for my support? 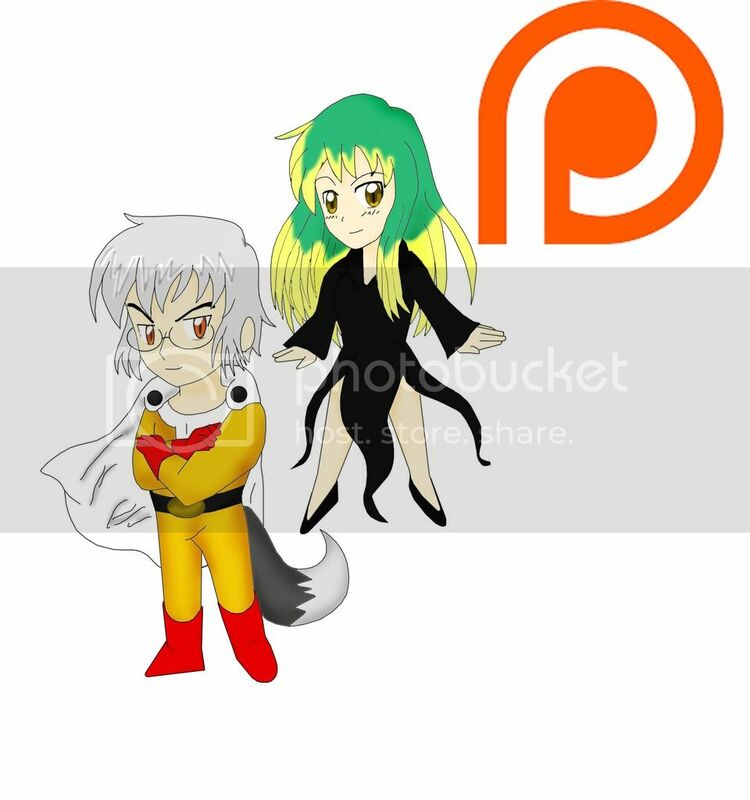 Contacting us via your Patreon and paying through Paypal. We'll send it in any file type you can open. Please contact DaisukiFox for help when requesting your discount. Will my money be used to get me a better experience for this project? Below are some ideas as to what we'd like to offer for the future. Polls may be conducted for these future features. Only on KiyomuMitsue's DeviantArt! Become a watcher today or just watch our page until the poll comes up. -Hardcovers signed by all artists involved and writer/writers. -More partnerships with others artists/authors. When will we see some animation? When we acquire a video editor/animation editor and have enough of a solid foundation for our comics. The animation process is a huge step and not an easy one... it's also expansive as some may want salaries. We're currently not looking for one to make animations but we are looking for someone to help us make promotional videos for our group! Currently, only LoveLily13 does the fanart, our other artist requires pay for her work(Smeadows). Line-arts for these will be released to (+) members and above. Smeadows or maybe a future partner will release more fanart. At the time it doesn't seem t be our biggest attraction but rather a fun novelty thing. We'd need to discuss the conditions but some funds may have already been spent. We'd have to see if we can haven't already appropriated funds and a waiting period might be in need for us to return that. Please don't release our content as yours! If you do release it we ask that you credit us properly and perhaps throw a shout out. We prefer that all members respect the idea but we're also uncertain how that would effect us. Also given that it's just a 7 day waiting period. Why not just wait? http://kiyomumitsue.deviantart.com/ , Our DeviantArt account! -Now Includes All Literature cap removal. -Access to Ranma's Pig Problem's exclusive chapters 34 & beyond. Thanksgiving Tail $1 literature special! Special price for those readers! Allows you to bypass all literature week exclusivity! Includes FoxTales Page exclusivity removal! You can choose to do this for just one month! Or continue to do it and stay! All written works will have 7 day exclusivity removed! Get Lost Together Chapter 7 early this month! XD 2018 November. We didn't reach the goal but this helps is get a better idea! We'll probably see about adding to these specials and making it have a return! We hope to hit this mark and spur our growth as a content provider! We're testing comics and hope we can make this multipage release thing a more common thing! This goal will stand until we can land a comic/manga that will help us reach this goal! Right now we're testing Ranma's Boyfriend! Coming sometime soon!